NEW Real Time Fishing Reports We have begun offering real time fishing reports of our trips, lessons, schools, scouting trips, and more that we will send directly from the field, most of it real time and right from location. We can sign you up here and it will come straight to your inbox. Also, we are able to send it as a text message to your phone also. If you desire this service please contact me here and we’ll get you signed up. Its that simple! TN licenses expire on 2-28-18 and anglers will need to renew licenses prior to or by Mar 1, 2019. Like many states, TN has online services, a nice phone app, and you can now call from the river and obtain a license by phone. TN is also conveniently offering an economical one day fishing license for out -of-state anglers. Great option! TN License Update….Get your license before July to save money, as TN will be increasing License fees almost 20% on One Year Non Resident licenses. Any license purchased before July will be at the old price. Check out the details here . A new guide license has been instituted as well, and resident TN guides will be required to purchase the $150 license while out of state Guides such as myself will have to purchase a $650 Non Resident Guide License/Permit. BOONE DAM , TN UPDATE /SOUTH HOLSTON GENERATOR REPLACEMENT UPDATE – We started following a developing story /situation with Boone Dam what is now several years ago. Boone Dam is the dam for the lake that both the South Holston and Watauga flow into. IT IS NOT SOUTH HOLSTON DAM AND I AM REFERRING TO THE DAM DOWNSTREAM OF SOUTH HOLSTON TAILWATER. Not my intent to shout but to make GIN clear I am not referring to the dam that controls the South Holston River below South Holston Lake. Since both the SoHo and Watauga flow into Boone lake, the inflow is important. So flows have been reduced on both rivers in an effort to do work on Boone Dam and correct the problem. 2022 is target date for completion. Another project that is nearing completion is the replacement of the generator on the South Holston. TVA has been working on this since last September and have given us great (incredible) sluice flows all year since Sept 2017 and its resulted in the best fishing ever on the river. Target time for completion of the South Holston dam generator replacement is October 2018 and at that time we’ll be going away from the sluice flows and back to normal generating patterns. YouTube Channel – Jeff Wilkins Fly Fishing – Check out our YouTube Channel with over 500 video clips to date, we have about 450 regular subscribers and almost 600, 000 views…check it out. We have all sorts of stuff from fishing clips, to weather clips, to fly tying, a wide range of interesting stuff. We’ll be utilizing this even more in the coming months as we use it to teach students in our fly fishing courses and lessons. Our name is FlyFishingKat…..derived from fly fishing plus the catch of my life, my wife Kathy….Kat is short for that. You can check it out here . SIMMS – New products for 2019…. Ever wanted to know or get the inside scoop on new stuff from Simms? Or want to be more comfortable on the water than you presently are? Check out the Simms site here for all the heads up on new stuff for the coming year. The Veil camo stuff will blow you away! Have been working on a couple new things related to our popular E-Newsletter. You can now sign up with our new JWFF QR Code, and you can sign up by texting JWFLYFISHING to 22828…. an easy way to spread the word or tell others about our eNewsletter. 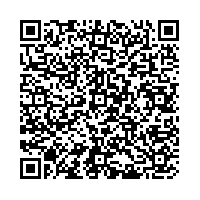 Below is the QR code… A third way to sign up for our eNewsletter and Fly Fishing Report is by clicking this text link . RIO PRODUCTS New Fly Line Selector App– Over the years I have used a lot of Fly line products and one who is always coming up with many cutting edge products….they make some of the industry’s best known and widely used products. In 1990, Jim and Kitty Vincent founded RIO in the mountains of Idaho on the idea that exceptional fly fishing products should be built by anglers for anglers. More than twenty years later, we’re still in Idaho and driven by that same ethos. And even after all these years of selfless devotion to creating the industry’s most comprehensive and technically advanced fly line tapers (designed for just about every finned creature out there) RIO’s passion remains as strong as when we first began this journey. Some might smirk and say we’re just fanatics, using our selfish needs to create the most sophisticated, strenuously tested products available… but we call it pride… pride in the promise to give you the absolute, hands-down, best of fly fishing excellence on your rod. I use RIO lines, leaders, tippet, and several accessories. RIO is also the creater and owner of a great Fly Line selector app for your tablet, smartphone, or device…. Check the fly line selector app out here . I wondered for the longest time what the craze was all about…..but its pretty interesting, and a great way to connect with folks with similar interests. And access to loads of interesting stuff, you’ll find more useful and interesting information than anywhere! You can access our Twitter page here and follow and receive our “tweets’. March 1 marks the first scheduled spring stockings for delayed harvest waters for the 2019 season. Stocking begins 3/1/2019. 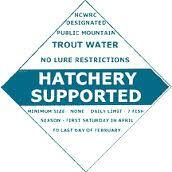 Some of the DH waters will receive fish through March 15. All streams should receive max numbers of fish as water levels have remained good thanks to a very wet winter. Fishing should be outstanding on these waters the remainder of winter and into spring …we’ve continued to catch some large fish all year long. The fishing will only get better and better as these waters will receive more fish in April and May. Hatchery Supported Waters Closed Thurs Feb. 28, 2019 and Reopen Saturday April 6 , 2019 April 6 , 2019 marks the traditional ‘Opening Day’ for Hatchery Supported Waters….also known as ‘Hook and Cook’ waters according to a good friend /customer of mine. I would agree. All waters will be stocked during the month of March and these waters are closed to fishing to allow stocking to be completed. Water levels are good so folks fishing these waters should do quite well. The art /drawing blog of artist Jeff Kennedy. 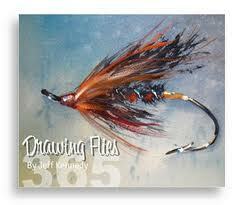 Jeff does some amazing stuff utilizing a number of different mediums in drawing and painting flies. Some of the most unique work you will see anywhere. He recently did a project called drawing flies 365, a year long project in which he did just that- – drew or painted a fly for each day of the year. Check out his work at his drawing flies blog here . The Blue Ridge Chapter of TU in Winston Salem has launched Trout in the Classroom this year. During this whole process we are connecting kids with the outdoors, making them aware of their watersheds, the importance of protecting them and most everything else in them. To learn more about this wonderful project visit the TICNC website here . Trout Unlimited Members, myself, and several other folks and students release fingerlings grown in classrooms as well as aiding the NC Wildlife Commission in stocking the East Fork Delayed Harvest section. Its a great time as always and exciting time as well seeing young people excited about being outdoors and doing this. We are excited to have the opportunity to have access to the Complete line of Cliff Outdoors products. Matt Cassel and all the guys at Cliff Outdoors, “Cliffitarians” as they would call them selves, have graciously made available their products for testing and trying out. Visit their website here . “The New and Improved Jeff Wilkins Fly Fishing Blog -We had been making plans for a very long time to update and refresh an old blogsite that we had had for some time. Well, its finally underway and the new blogsite will be getting a lot more content in the coming weeks as well. You can still access our old blog “Sir Castalot” click here . You will find a lot of video media and info. To check out our New Blog click here . Protect Your Waters A great site with lots of information about managing and dealing with invasive aquatic plants, weeds, and more. This is a concern for all anglers, as we must constantly address the spreading of nuisance plants and organisms. They can “hitch a ride” on our clothing and gear, and then released into other bodies of water—and potentially become established and create drastic results. Learn more here .